Transfrontier landscapes are inherently large tracts of land with diverse fauna, flora and human societies. Collaborative planning and management of these transfrontier conservation areas require decisions at various political levels, spatial scales, temporal scales and disciplines. This in turn requires information (processed data) as well as common understanding of the larger spatial landscape. The extensive Geographic Information System (GIS) capability developed by the foundation (through the Esri Conservation Programme) enables the interrogation of spatial data and information. GIS facilitates stakeholder spatial understanding, interpretation and visualisation of the transfrontier landscapes or protected areas. Detailed maps and an extensive database of southern Africa’s protected areas, overlayed with socio-economic and environmental variables from global data sets, are used to guide planning and decision-making. Data sets can be adapted and interrogated interactively to provide instant scenarios, answers or simply be conservation starters. These data sets and information often guide debates between the various role players and allow for a participatory approach and of drawing on the participants’ expertise. 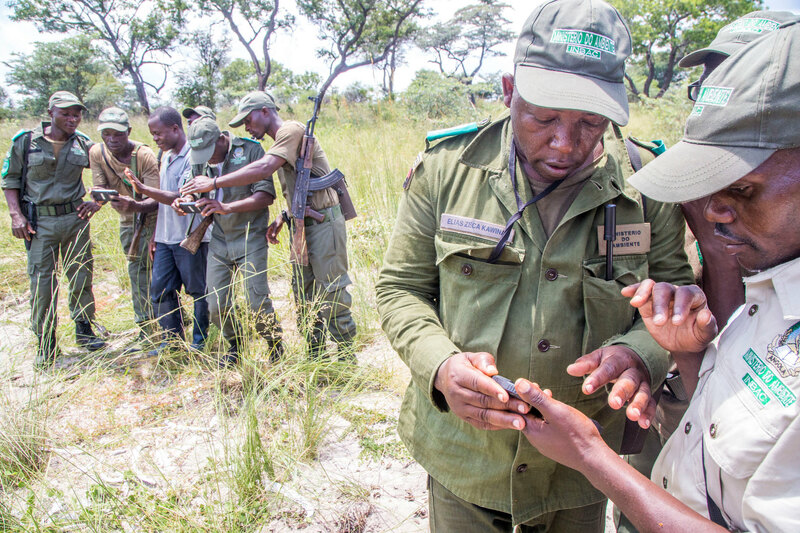 In field GIS training for field rangers in the Angolan component of the Kavango Zambezi TFCA. The foundation further supports Transfrontier Conservation Areas with capacity building in GIS and the use of the Spatial Monitoring and Reporting Tool (SMART) that allows data to be collected in a standardised format. In so doing field staff are empowered with enhanced skills that can potentially leading to improved park management. Peace Parks Foundation would like to share the tools that we use every day in order for you, the end user, to better equip yourself in your own goals at conservation.The datasets available on the Open Data Portal was made possible by the efforts of the GIS Team at Peace Parks Foundation and their teams in the field. Esri is the market leader in GIS and a great supporter of the Foundation’s conservation efforts. PPF is a proud recipient of the Esri Conservation Program grant, allowing PPF access to the entire Esri suite of tools. The foundation is a member of the Spatial Monitoring and Reporting Tool (SMART) Partnership, together with eight other conservation agencies. 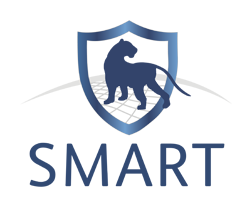 SMART allows for improved effectiveness of wildlife law enforcement patrols and site-based conservation activities.